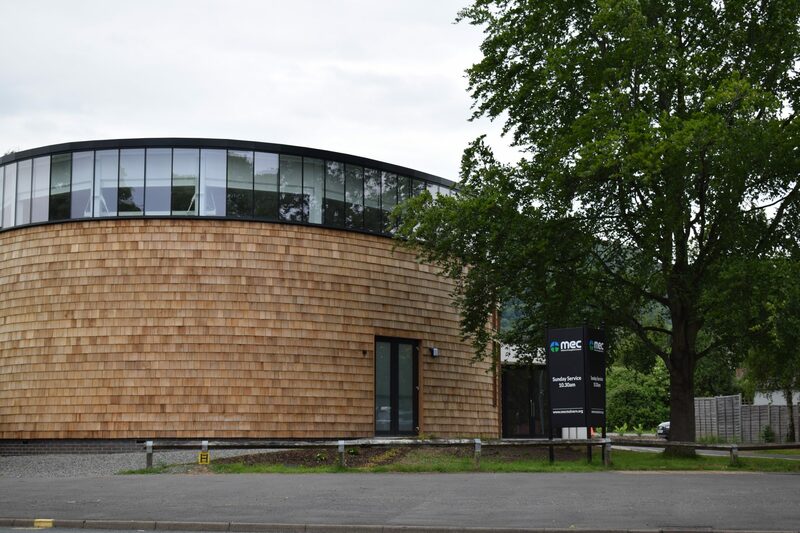 Harper Group Construction Ltd were appointed as Principal Contractor to demolish the existing Evangelical Church and deliver a greatly improved facility with the added feature of a circular drum for the purpose of worship and a large Secondary Hall as a facility for Nursery and Leisure. 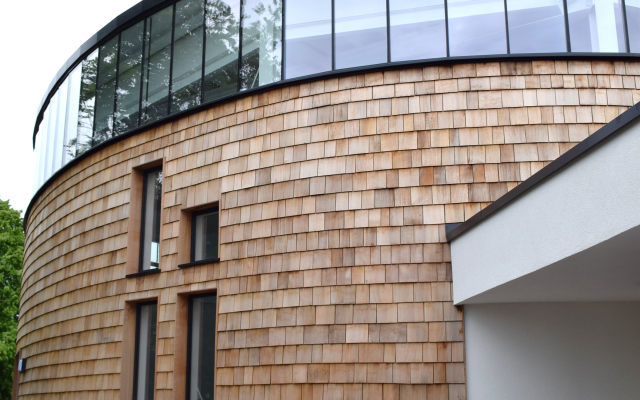 The scheme initially had to be value engineered and it eventually proceeded and produced a beautiful building with the external façade being faced with either cedar shingles or through coloured render. 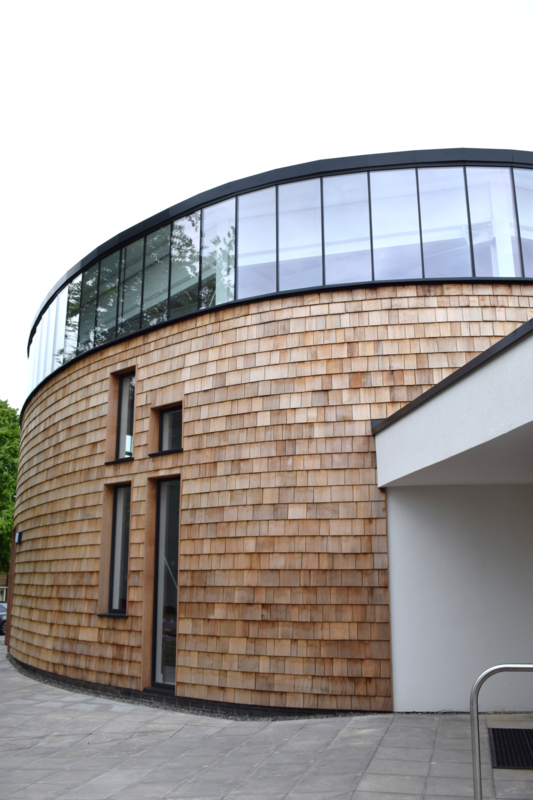 The new Mechanical and Electrical installation included air source heat pumps and underfloor heating. 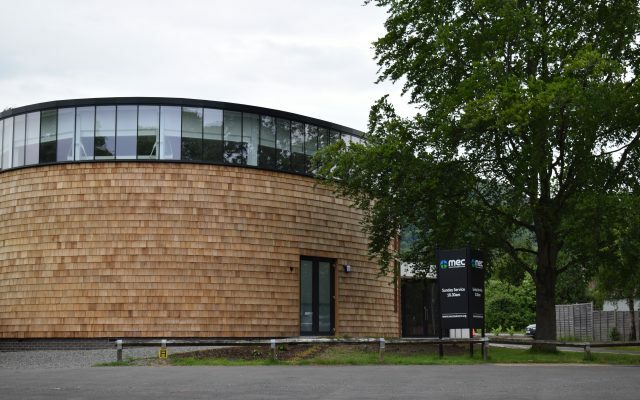 The building was handed over on time and is now in full use with fantastic reviews.